Want to learn how to make crispy kale chips? This easy keto chip recipe will become your new favorite healthy snack in no time! It’s a great healthy kale recipe and can be made in less than 20 minutes. I’ve tried over and over to like spinach, but I can’t. However, I’ve been able to find a ton of ways that I love kale, including these crispy kale chips. 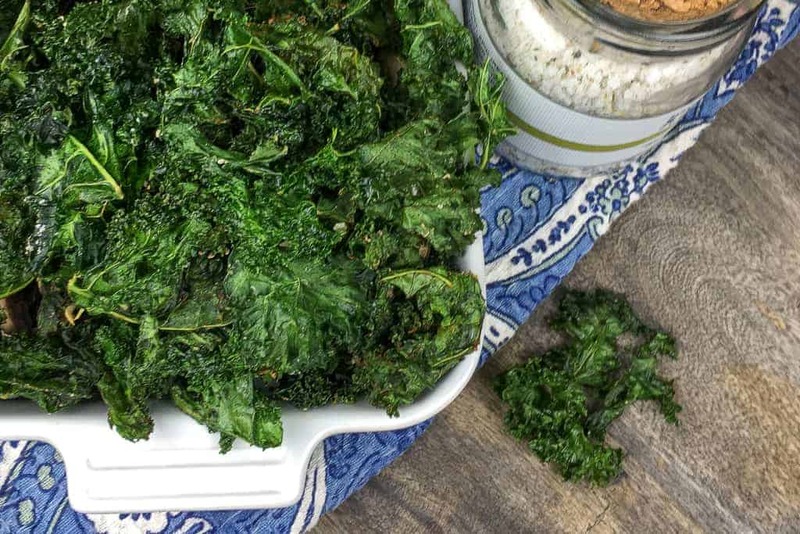 I’ve been looking to add some more vegetables to my diet as we ease into the colder temperatures and I’ve found these oven-baked kale chips are the perfect option. I love snacking and they are the perfect healthy snack for me to satisfy my salt craving while still adding in good-for-me foods to my diet. This satisfying alternative to potato chips is a great addition to your fall snacks and game day menu plans. 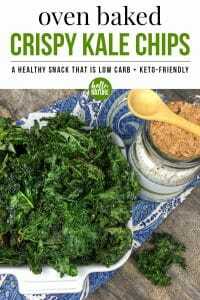 You can find the full recipe for these crispy kale chips at the bottom of the post, but I’d highly recommend reading through all of the tips in between so you can get the crispiest kale chips! How do I make crispy kale chips in the oven? 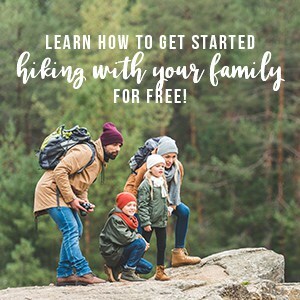 Follow the recipe/instructions at the bottom of this post, but keep these important tips in mind. Kale chips can burn really quickly so this is not a set it and forget it type of recipe. The right combination of oven temperature and cooking time is key here. If you haven’t calibrated your oven, or you don’t know if it runs hot or cold, you need to keep a close eye on them, especially the first time you make them. The end goal for these delicious crispy kale chips is to have an ever-so-slightly browned edge to the kale chips. Not soggy and definitely not overly bitter or brown. So just follow the directions and watch closely. Flip sooner if you’re uncertain and cook the rest of the way until they’re just starting to brown. If you’re trying to make these kale chips stay as crispy as possible for as long as possible, follow these tips. Dry completely before baking them. Moisture left on the leaves will create steam which will lead to soggy chips. On the same note, remove all of the stems from the kale before you make the kale chips because they retain moisture. Drizzle with the olive oil in small batches, taking care not to oversaturate the kale leaves. Each leaf just needs to be lightly and evenly coated. How do you store crispy kale chips? Make sure they have completely cooled before storing them. Store in an airtight container for up to a week. They’ll be better if eaten within a few days though. Store with uncooked rice if you want to draw out any remaining moisture. Preheat the oven to 325F and line a large rimmed baking sheet with parchment paper. Set aside. Wash kale leaves. Dry completely before adding the kale to a large mixing bowl. Drizzle with a little olive oil and toss to combine while rubbing each leaf with your fingers to make sure it is evenly coated in oil. Slowly add in more oil, if necessary, until all of the leaves are lightly coated. Do not use all of the oil if it's not needed. Combine the smoked paprika, garlic powder, cumin, salt, and pepper in a small bowl. Sprinkle on top of kale. Toss until evenly combined. 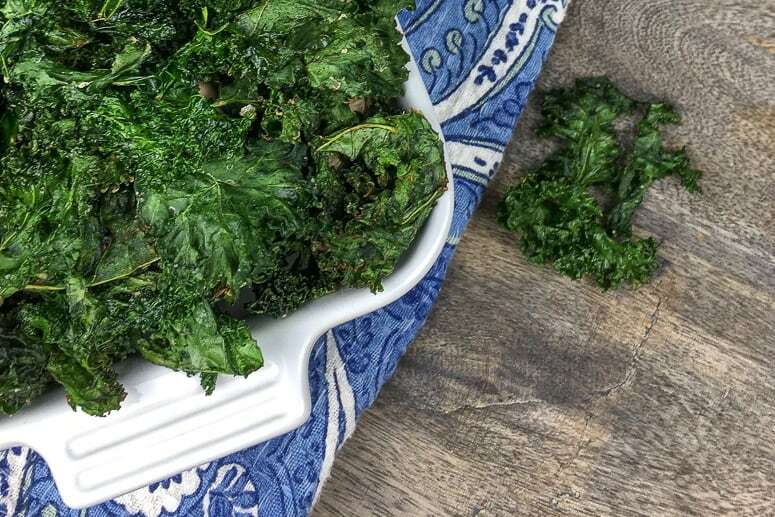 Arrange seasoned kale leaves on the prepared baking sheet in a single layer. If necessary, do multiple rounds to prevent overcrowding on the pan. Place the baking sheet in the preheated oven and bake for 5-6 minutes before rotating the pan. Bake for another 1-2 minutes. Do not overcook. Remove chips from oven when they are still mostly green, with only a tiny bit of brown developing. 6. Let chips sit for 2-3 minutes to crisp up a bit more before serving. Sea salt is great on its own for this simple healthy snack. However, the addition of the smoked paprika, garlic powder, and ground cumin to this recipe adds a little more depth to the flavor. You can also use other spices/amounts to change up the flavor or even make spicy kale chips. Looking for other healthy snacks? Try this Fresh Spinach Dip with Seasoned Pita Chips, these Loaded Sweet Potato Fries, or these Asparagus Fries with Herbed Lemon Yogurt Sauce. Looking for healthy, low-carb recipes? You might like these Keto Taco Cups with Avocado Salsa, this Loaded Low Carb Cauliflower Instant Pot Soup Recipe, or this Red Beans and Riced Cauliflower Recipe.